Cutlery 24Pc Set W/Tray 2Asst. 1.2mm Thickness Knife x 6Pc l 1.5mm Thickness Spoon x 6Pc l 1.5mm Thickness Fork x 6Pc l 1.2mm Thickness Tea Spoon x 6Pc. 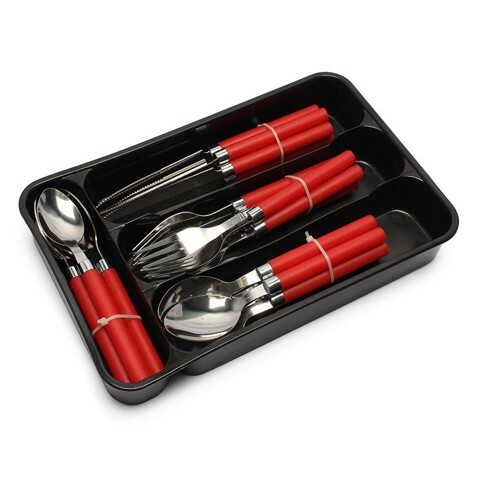 Black Tray With Red Or Blue Cutlery. Stainless Steel. 0 Packaging: Tray with Lid.